Photo ©Yajur Chotai, en-route from Cape Town to Durban (N2 motorway). Another year over, and another three month holiday begins. Being a bit more experienced at dealing with the longer year-end vacation that meets many a weary university student, I’ve decided to enter this period of respite well prepared. Followers of Pixelated Thinking would’ve noticed the lack of updates here in the past few months; I’ve been really busy with coursework. Now that that nightmare is over, I’ll be back to my usual blogging ways, tapping away at the keyboard on new stories, blogs, thoughts and code. For the first time since I began studying in Cape Town, I decided to drive back to Durban. It was tiring, but also a great deal of fun (my cousins made the trek with me – read: they did most of the driving :P). Only when you make an arduous journey by land from city to city do you truly appreciate the beauty of your country. Yes, South Africa post-1994 isn’t the utopia everyone envisioned it would suddenly become. There’s still a lot to be done politically and culturally, but when you experience the country, truly seeing its magnificence manifest over 2000km of road, the bickering and trivialities of local politics fades away. The South African landscape is remarkable. 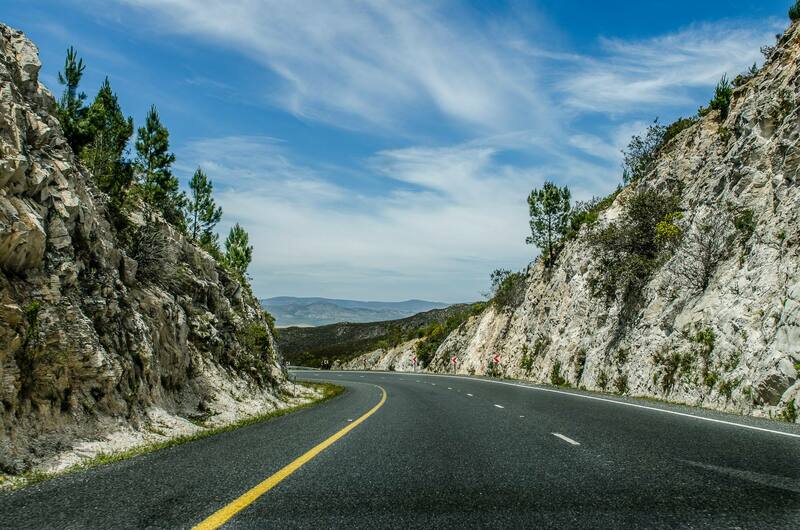 The stretch from Cape Town to Port Elizabeth, shifting between coastal routes and more inland forays, paints a beautiful portrait of tree-lined highways. The vineyards and lush vegetation transitions almost seamlessly into futuristic, sci-fi-like open fields dotted with enormous wind turbines characteristic of the windy region that is the Eastern Cape. This again quickly gives way to the rolling hills of the KwaZulu-Natal topography, guiding one gently back to the eastern coast of this country. These rapid metamorphoses of the landscape are telling of the juxtapositions prevalent in South Africa, both physically and metaphorically. It’s difficult to imagine you’re still in South Africa at times. These places are hardly seen by the average South African, and my cousin Yajur was able to perfectly capture this beauty with his way-too-complicated-for-this-blogger-to-understand Nikon camera, in the photos below (and above). After the long trip to Durban, I’ve begun planning the projects and books to be tackled in my free time. Look out for my annual Reading List in the next blog post, and my 2014 in Film overview of notable movies coming out next year.